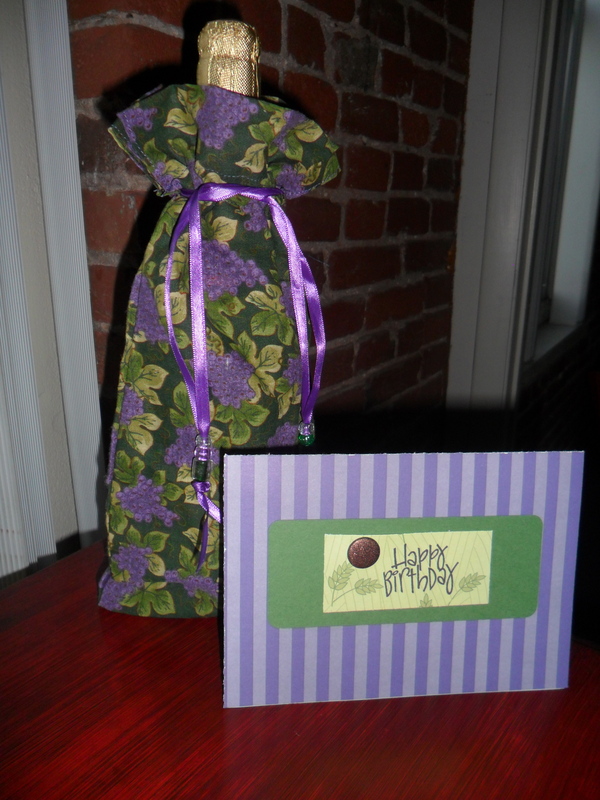 Here are what the wine bags look like when they are put to use. Lucky for me, my coworker liked them both and bought them all! This weekend we saw some old friends who had us over for brunch. 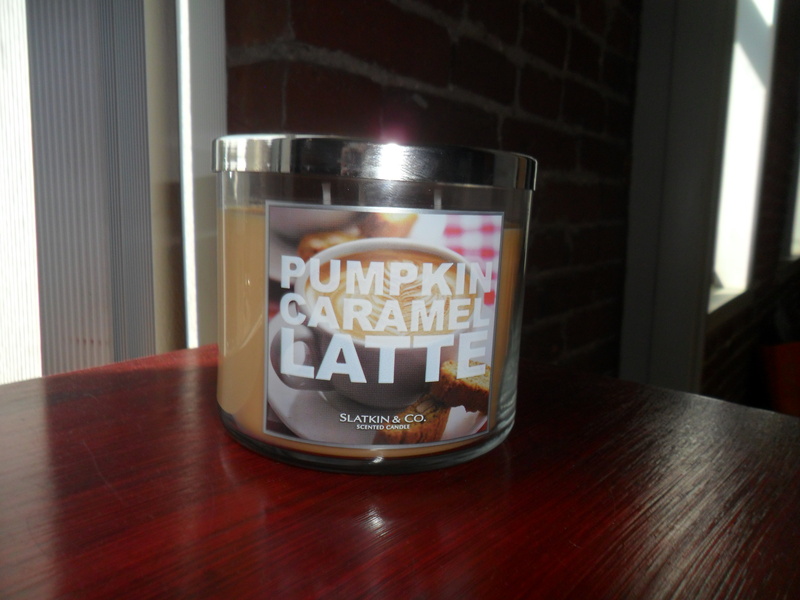 I decided to bring a candle from Bath and Body Works in one of their new fall scents as a hostess gift. 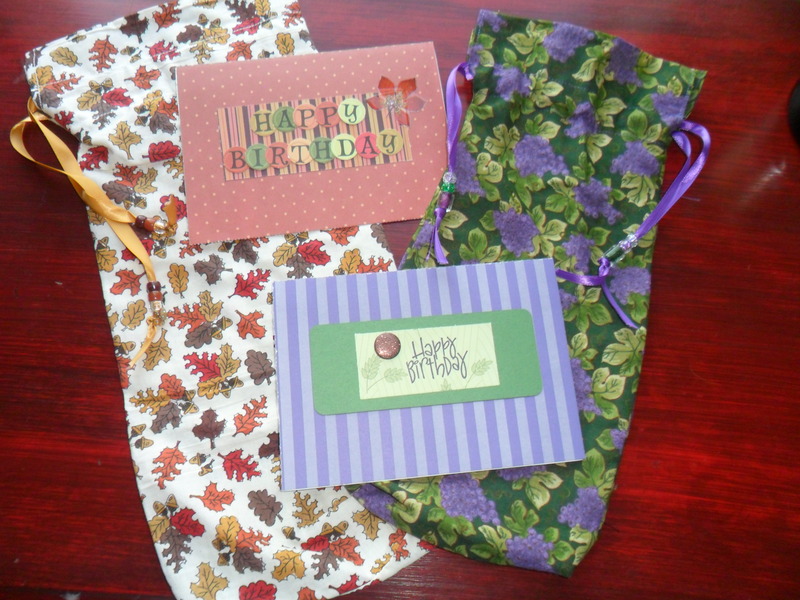 When I went to my wrapping paper drawer, I realized that most of my wrapping gear was still bright, fun, summer colors. That wasn’t going to work for a Pumpkin flavored candle! What to do? 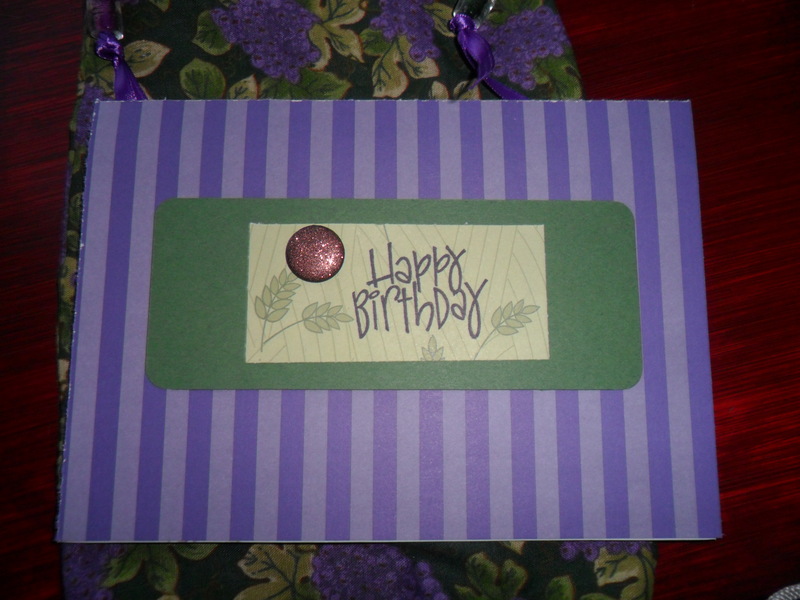 This is a problem a little crafting paper can fix! 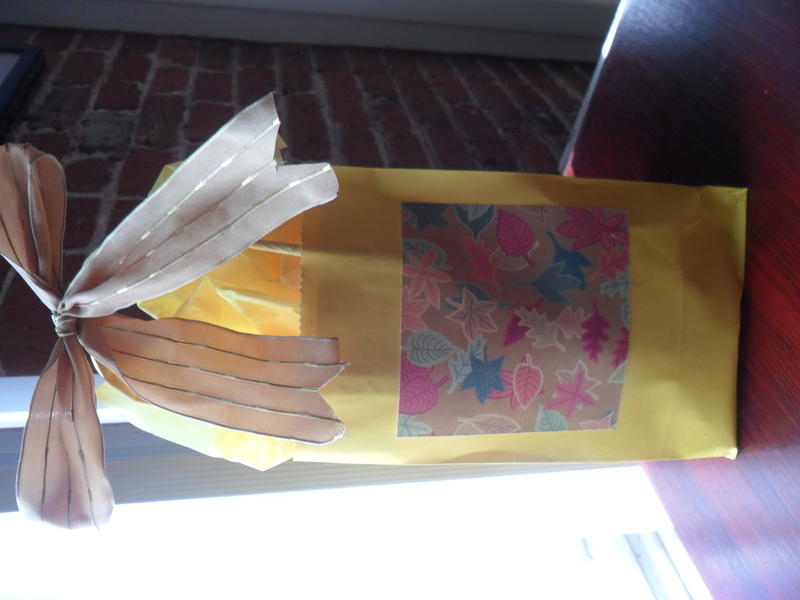 With some autumnal paper and a gold ribbon, this sunshine yellow bag and tissue paper is now set for a fall candle gift! I also made a pitcher of my special sangria to bring (I’ll post that recipe later this week.) 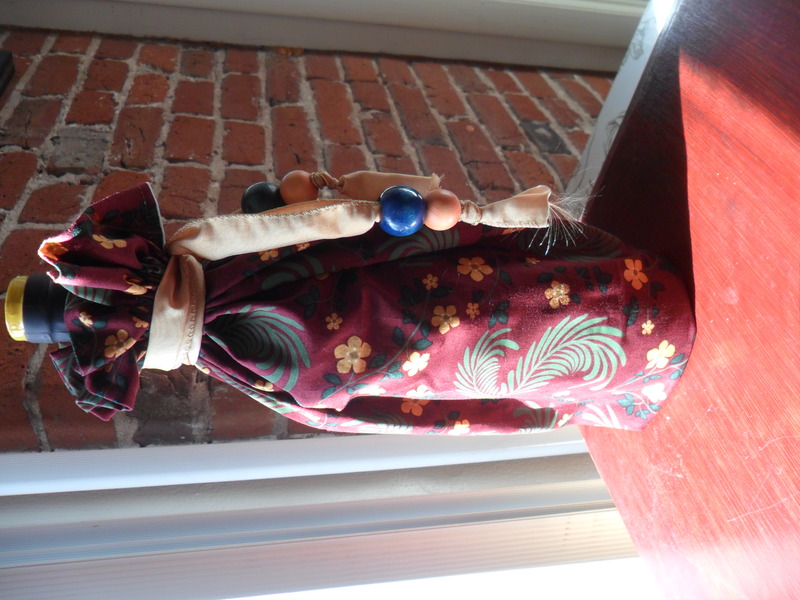 To add to the sangria, we brought a bottle of wine, so I also got to use one of the handmade wine bags. 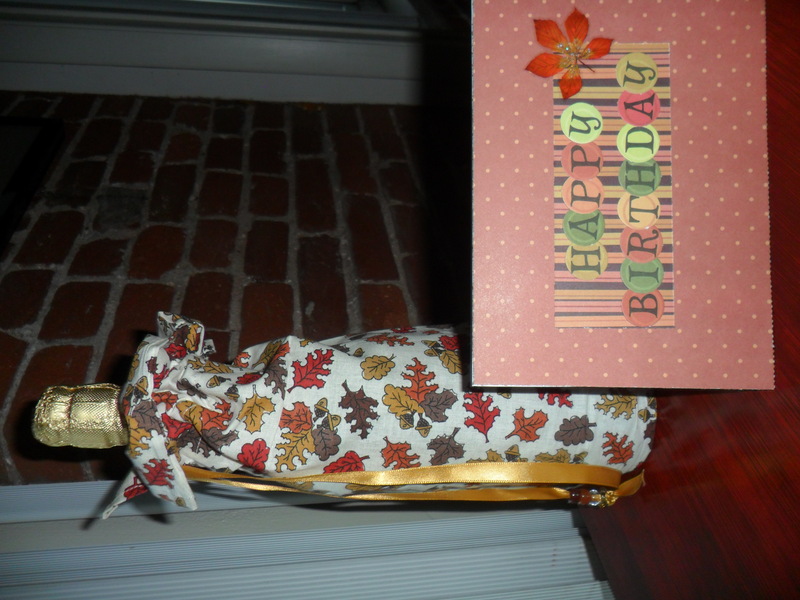 I have to tell my sister it’s time to restock my wine bag supply! We had a great time at brunch. 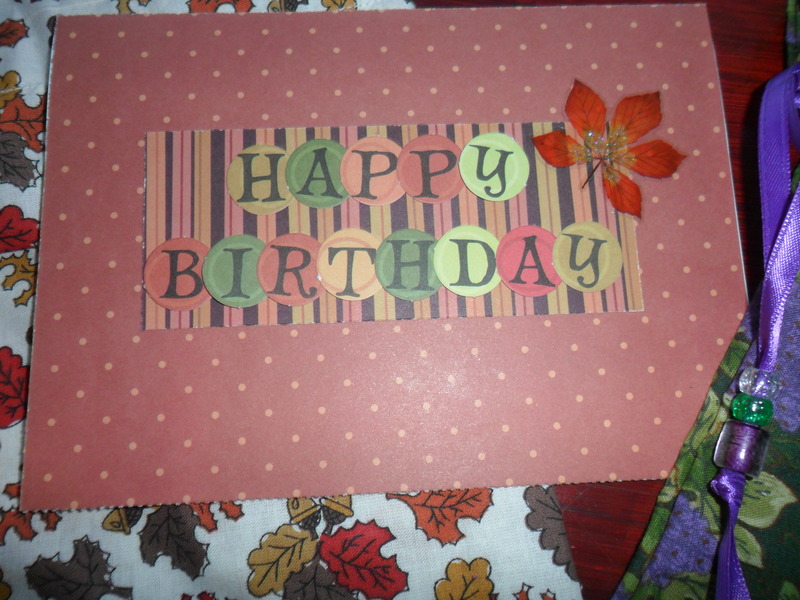 Thanks Jim, Nadine, Lincoln and Roman! What are some crafts you are working on? How about some of your favorite gifts to bring a host or hostess? Leave me a comment and let me know! Links are welcomed and encouraged. Also – don’t forget to share with me your best dip recipes and ideas here: Football Season = Snack Season for Me! – I have 21 more weeks until Superbowl! and then sign-up for my newsletter http://www.fairfieldbport.macaronikid.com for how-to instructions in this week’s edition of Macaroni Kid! These shirts are so cute! I bet kids have a ball making these. Thanks Cynthia! Good ideas, Maureen. We look forward to your winter thoughts–we usually see snow here in by November! I have red and blue bags from 4th of July (and Liam’s poolside bday party in Philly a year ago if you can believe it!) I’ll be turning those into Winter / Christmas / Hanukkah bags soon!